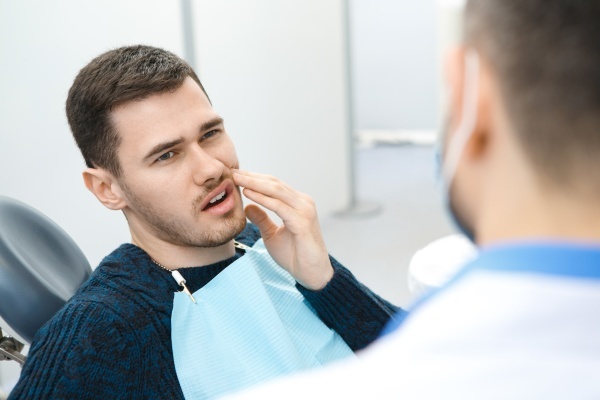 When patients need a wisdom teeth extraction, it can be intimidating. According to the University of Washington's Dental Fears Research Clinic, 75 percent of adults harbor some level of fear over having a dental procedure completed. Fortunately, we are very experienced at removing teeth and can make sure that the entire process goes smoothly with as little pain as possible. All dentists can remove teeth, but only certain dentists are experienced enough to go by the title of an oral surgeon. When a wisdom tooth breaks through the surface, there is a chance that a normal dentist can pull it out. If it is impacted or still below the surface, patients need to see an oral surgeon instead of a traditional dentist. 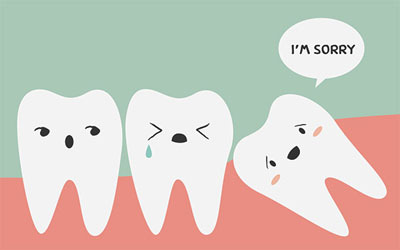 We understand how to make the process of a wisdom teeth extraction as painless as possible. An inexperienced dentist can take longer to remove the impacted tooth and cause the patient unnecessary swelling and pain. We will thoroughly clean the teeth and gums. It is important to remove any lingering bacteria and plaque from the mouth prior to undergoing oral surgery or any cosmetic procedures. Following a cleaning, we will put the patient under sedation, so that he or she does not feel any pain. We then cut open the gum. The gum tissue above the wisdom tooth will be cut open and lifted so that we can access the area. We will remove any small parts of bone in the way. At times when the gum tissue is opened up, there will be bone above part of the tooth. We may need to remove the piece of bone in order to extract the tooth. We may wiggle the tooth to ease it out of the socket. Using a dental tool, we will grasp the tooth and gently move it back and forth to see if it will easily come loose from the bone and ligaments that are holding it in place. We may need to break up the tooth. When a tooth is not responding, it may need to be broken or cut up into smaller pieces and removed one piece at a time. Removal and cleaning. After completely removing the tooth, we will thoroughly clean the area and the area in order to prevent any sort of infection. We will replace the gum tissue. We will lay the gum tissue back down and use stitches, if necessary, to hold everything in place and promote healing. We will use gauze to stop the bleeding. We will hold gauze in place to help and stop the bleeding. Eventually, the body will form a blood clot so that this is no longer necessary. After a wisdom teeth extraction takes place, there is a necessary recovery process. It can take a couple of weeks to feel completely normal. During the timeframe of the recovery process, most patients experience some level of swelling. Ice packs and pain medication can assist and make patients feel more comfortable. Patients need to consume foods that are soft and cool during this time frame. Things with extreme temperatures may cause pain, so it is safe to stick with Jello, applesauce, pudding, yogurt and other soft foods. To learn more or to schedule an appointment call today. Live in Glendale, CA and have questions about wisdom teeth extraction? Give us a call at (818) 483-9071.